Barry Rowland of the Sim Racing Garage reviews the Heusinkveld Engineering Sim Handbrake. As usual, Barry takes an in-depth look at the product design, build quality, inner workings, and hands-on usage before sharing his final thoughts. 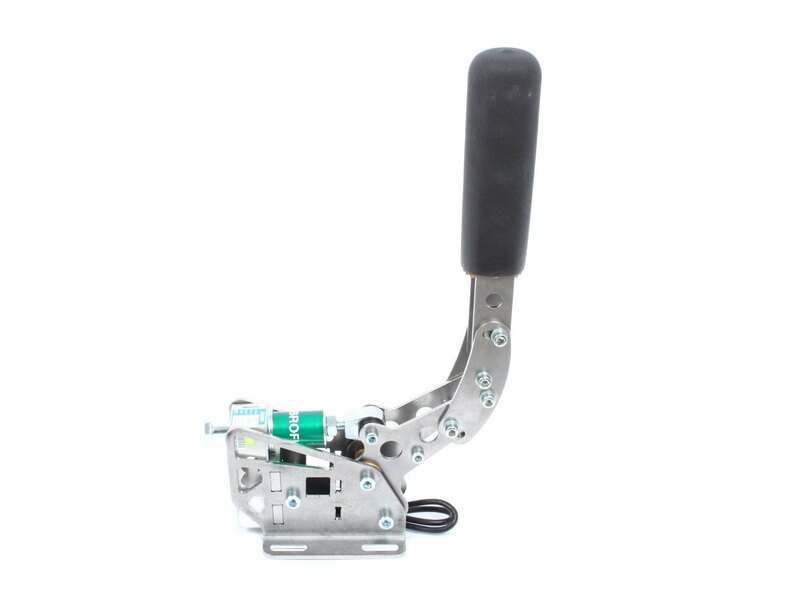 The Sim Handbrake features a strong, stiff, compact and durable design made out of stainless steel. Using load cell technology, the amount of force you apply on the lever determines the output to your simulation software of choice. 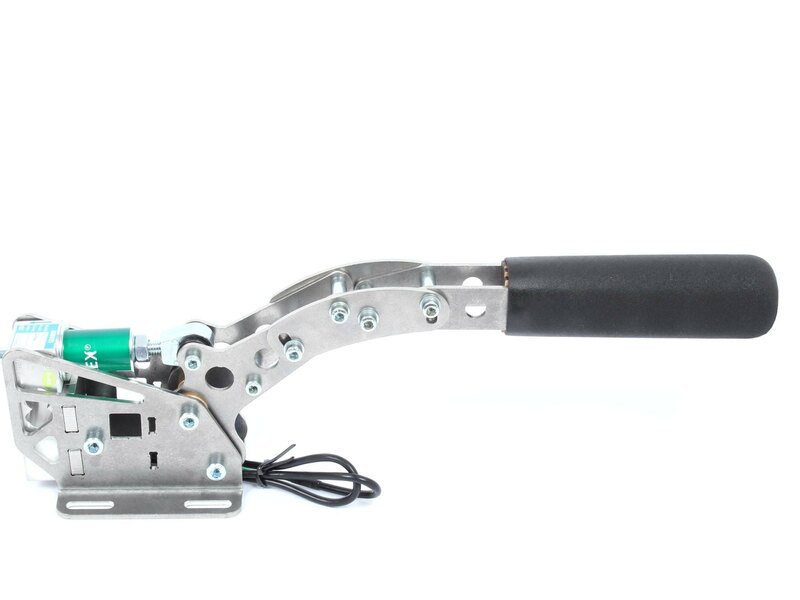 The handbrake system has an adjustable lever, allowing the lever to be tilted 120 degrees in infinite adjustable steps in order to offer maximum flexibility. The lever features a soft grip at the end. 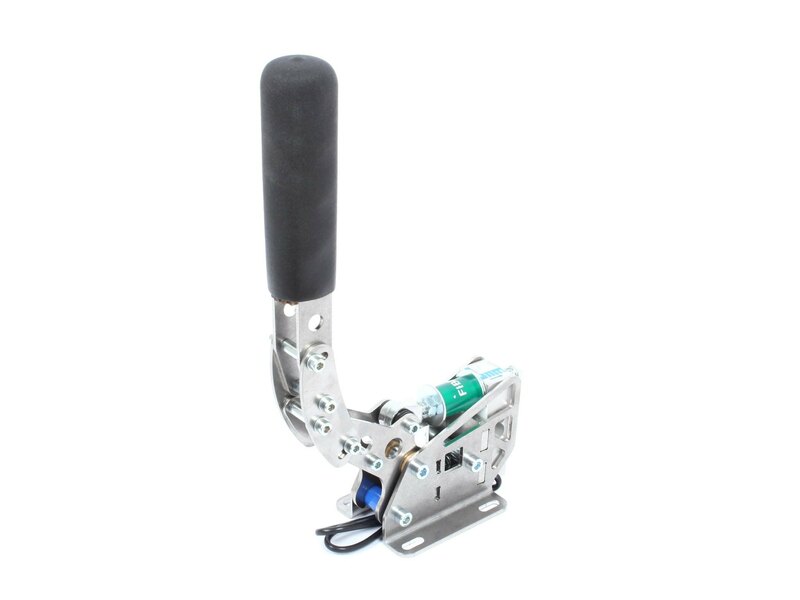 The Sim Handbrake comes with various options for mounting it to your rig. The base unit of the system has a 2×2 array of mounting holes/slots. There is also an alternative mounting solution: With every handbrake, we also supply an adapter plate (‘wingsuit’) which can be mounted directly on aluminum profiles with a maximum width of 40mm. The handbrake can then be mounted on top of this adapter. Please note that you must supply your own T-nuts, nuts, and bolts to fit the handbrake to the adapter plate and the adapter plate to an aluminum profile. Since the angle of the handbrake lever can be adjusted 120 degrees, you can mount the base unit both in a horizontal and vertical position. The handbrake comes with a USB controller box (with onboard load cell amp and USB connector). This controller board gives an analog output (it acts as a single analog joystick axis). 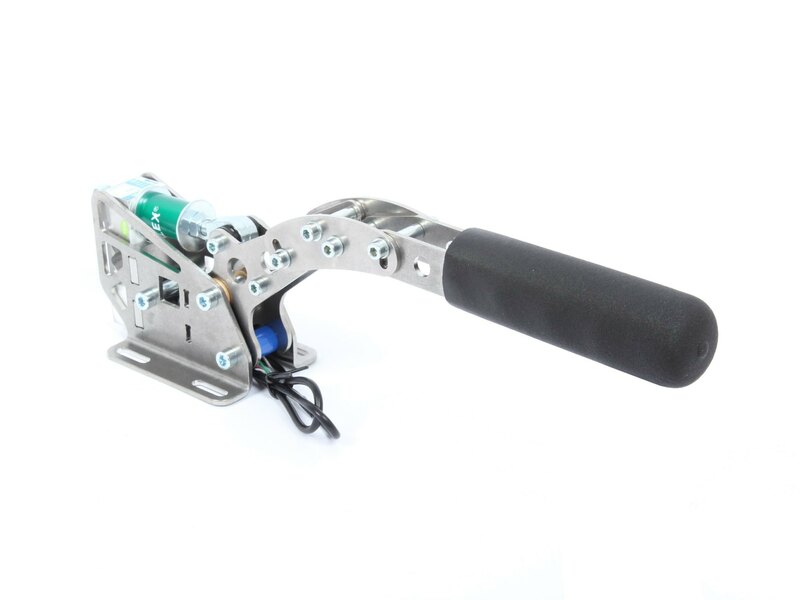 The Heusinkveld Sim Handbrake is available via the Heusinkveld website starting from €239.00 VAT included.